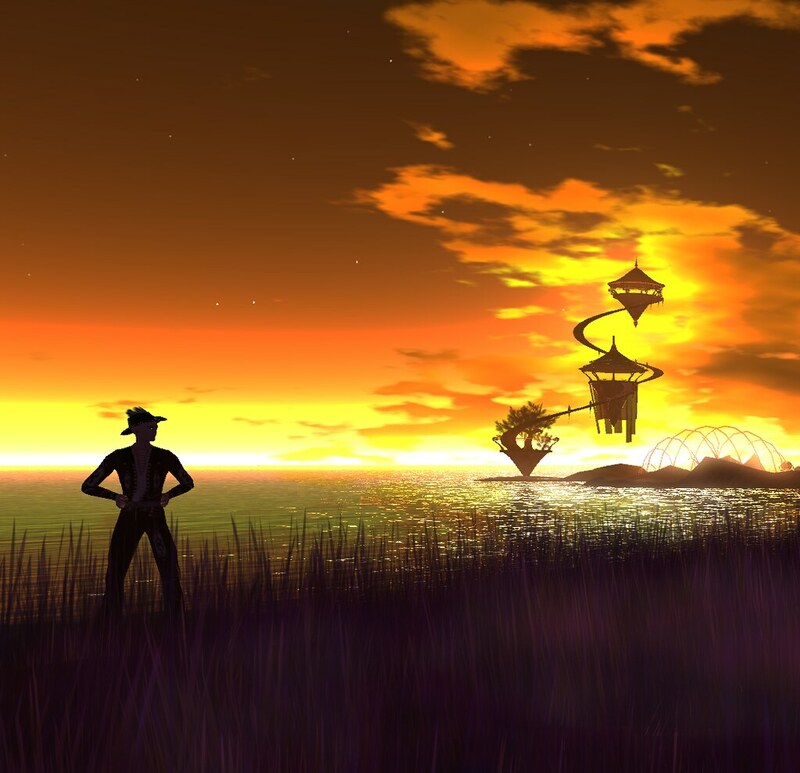 Yesterday, the Hypergrid Adventurers Club visited OSGrid to explore Devokan Tao, the central hub of a collection of regions called Devokan Trust. The entire area is inspired by Myst and Uru. About 10 of us made the journey across four different grids, and you can follow in our footsteps by looking at our travel plan. Our guide was Dot Macchi, who explained the history of the project to create a Myst/Uru inspired world built by many different people. It’s an amazing collaborative effort. What we found were places of such stunning artistry and subtle aesthetics that I’m at a loss for words to describe them any further. So I’ll simply share pictures. Thank you again, Dot, for spending so much time with us and explaining the beautiful storyline behind it all. A fascinating paper was just published on the topic of using virtual worlds to train people in stress reduction techniques. The paper describes a pilot project using a virtual space to bring volunteers through a mind-body medical intervention. The volunteers learned how to elicit the relaxation response, a physical state of deep rest that changes the physical and emotional responses to stress. Typically, people learn how to do this in physical-world training sessions. But in this case, they were able to use a 3d simulation in a group learning environment. Our next-generation multiuser virtual world platform Jibe addresses all of these challenges. When you set up your own Jibe world, you have complete control over the user interface and can customize/simplify it however you wish. A Jibe world can also be embedded in any web page, which makes it as easy as possible for people to access. And finally, we’ve build our Jibe platform from the ground up so that it can directly interface with remote sensing technology. Due to the positive results from this pilot study, Dr. Daniel B. Hoch and his team are planning to conduct further research. It will be very exciting to see techniques like this evolve to improve the quality of life of people around the world. And here at ReactionGrid, we’ll keep building the technological platforms that can help make it all happen. UPDATE 4/6/2012: Here’s a press release about the research project from Massachusetts General Hospital with additional quotes by Dr. Hoch.